This story says something about academies. It also says something about the sponsorship of academies by further education (FE) colleges since the academy’s sponsor is Suffolk New College. In 2012, the college took over the academy and assured parents the priority would be the quality of pupil’s education. Last year, Ofsted visited Suffolk New College, the sponsor, and downgraded the college from ‘good’ to ‘requiring improvement’. More than twenty years ago, further education colleges were removed from local authorities and ‘incorporated’. Their assets were transferred to ‘corporations’ – as their governing bodies became – and college managers given ‘freedoms’ to employ staff, enter into contracts and decide how to spend funds. A majority of the membership of ‘corporations’ (i.e. governing bodies) had to come from ‘business’. FE colleges were no longer accountable to their local communities via local authorities and local authorities no longer funded them. Instead, the funding for further education was taken from local authorities and allocated, directly to colleges, by central government. Soon, colleges described themselves in ‘competition’ and in a ‘market’, designated their principals CEOs and were trying to avoid national union agreements. Then, without many noticing, FE colleges were reclassified as part of the private, rather than public, sector in 2012. Does this sound familiar? Transfer of assets, freedoms, business interests, direct funding from central government, an end to local authority accountability, privatisation, marketisation and an undermining of pay and conditions? So perhaps it’s not surprising that the group representing the largest FE colleges has welcomed a suggestion by the Department for Education that more FE colleges could sponsor academies. Unfortunately, the failed gamble of handing a school to a college that had spent twenty years honing its use of ‘freedoms’ from local accountability to ‘compete’ in the market is not unique to Suffolk. In October last year, Ofsted inspected Derby’s Merrill Academy and graded it ‘inadequate’. Ofsted also visited the Merrill Academy’s sponsor, Derby College, and concluded the college ’required improvement’. In fact the year before Derby College became Merrill Academy’s sponsor, Ofsted graded the college a ‘3’: one better than inadequate. Some questioned why an FE college with an inspection grade that, had it been a school, would have prevented it converting to an academy had been allowed to sponsor the academy. Instead, Derby College management – as the sponsor – attacked the academy’s staff and refused to negotiate nationally agreed pay and appraisal policies, forcing teaching unions to take action. A union representative at the academy described how teachers were ‘slogging their guts out’ but faced a management who were refusing to negotiate over pay. In 2013, Ofsted inspected The Discovery Academy in Stoke on Trent and found it requiring improvement. The academy, sponsored by Stoke on Trent College, had been opened in the face of much local opposition. Stoke on Trent’s local paper, The Sentinel, reported at the time, questions over the wisdom of the college becoming the sponsor of an academy. It reported that the college was in debt, jobs were under threat and that, according to a college union officer, ‘the college has been appallingly financially managed in the past’. Nevertheless, the proposal to open an academy sponsored by the college went ahead. In 2013, Ofsted inspected the Mirus Academy in Walsall and graded it ‘inadequate’ before placing it into special measures. Ofsted also inspected the Black Country University Technical College (UTC) and found it ‘requiring improvement’. Both these institutions are sponsored by Walsall College. And even as teachers at Merrill Academy were being forced to take action, an academy sponsored by Nelson and Colne FE College was being rated ‘inadequate’ by Ofsted – weeks before the Suffolk story broke. The Anti Academies Alliance has doubts about the objectivity of Ofsted inspections but Ofsted provides the benchmark against which government ministers, academy heads and college principals often judge themselves. Figures published by the Association of Colleges show that 66% of colleges inspected in 2013/14 were graded good or better. But similar figures published by Ofsted show 71% of secondary schools and 83% of primary schools were graded good or better. There seems no obvious reason in this data to suggest that asking colleges to sponsor academies will improve the quality of academies. The Director of Policy for the group representing the largest FE colleges said of the suggestion colleges should sponsor academies: “It is a vote of confidence in the pedagogic and business leadership skills of college principals and leadership teams”. Yet teachers and educationalists have pointed out that asking a primary school head to become ‘executive head’ of a further education college would seem odd so why is there an assumption that FE college principals know something about primary and secondary education? Others have questioned the capacity of very large merged colleges to manage themselves. In 2012, Lewisham College – graded outstanding in 2006 – agreed to take over Southwark College (graded by Ofsted as ‘inadequate). At the same time, Lewisham College was involved in plans to sponsor UTCs. Two years later, Ofsted inspected the new merger college (LeSoCo) and found it ‘inadequate’. So it’s not surprising that when academy sponsorship becomes part of the rapid expansion of a college, as well, problems may well arise. Until the 1980s, there were three colleges in Derby offering vocational training – including part-time engineering courses for Rolls Royce and British Rail. By 2002, and after some controversy, the colleges had merged and in 2010 another joined them. In 2013 the college became the sponsor of Merrill Academy and announced it had been successful in bids to open a UTC and Studio School (both forms of academy). This rapid expansion of the college, culminating in the sponsorship of an academy, does not appear to have been successful. As the college and universities lecturers union (UCU) has remarked: ‘Most colleges …. have their hands full running their own organisations, and staff are over stretched. Why should they take on running another, different and complex organisation’? ‘The skills and experiences of school teachers are very different to those of lecturers. They can learn from each other, but as equal partners, not through ‘sponsorship’. There are now around 400 FE colleges in the UK educating over 4.5 million students (including sixth form, part time and adult students). Many working in these colleges continue to try and respond to the needs of their communities but austerity measures have undermined this intention. Last year, the TES reported cuts to the adult skills budget of £460 million, The Guardian reported that further education had been the victim of large swathes of cuts described as “unjust and unsustainable” and Michael Gove (then Secretary of State for Education) was accused of forcing the axing of key A-level courses at sixth-form colleges by cutting £100million from the budget. Alongside these cuts, colleges have merged and expanded yet the number of teaching staff has decreased by more than 25% since 2010. Some colleges and their communities have mounted campaigns to defend further education. Staff at Lambeth, Barnsley and Edinburgh colleges, and elsewhere, have taken action or come together in campaigns but after 20 years of ‘freedoms’ the FE college sector has become fragmented, incoherent and unaccountable and the power of their Principals (or CEOs) has increased. Today around 400 college CEOs decide how to spend around £8 billion of public money. Some have also set out to embrace and exploit the policy of deregulation, incoherence, competition and marketisation in education in pursuit of the full benefits of privatisation. Perhaps the consequence of the ‘freedoms’ given to college management and the encouragement to sponsor academies has been seen most starkly at Barnfield College. The college grew from being the local FE college to an organisation that ran a free school, a studio school and, via an academy trust, three academies. It even managed to take over the running a local authority school. The then Secretary of State for Education Michael Gove said: “What Barnfield has shown students is that you can do better and you can go further. What [the Principal and CEO] has done is truly amazing – he has created an education model which others should follow.’ In 2012, Peter Birkett, Principal and CEO of Barnfield College, was knighted and the Department for Education published a report on how Barnfield West Academy secured ‘value for money’ via its sponsorship by Barnfield College. 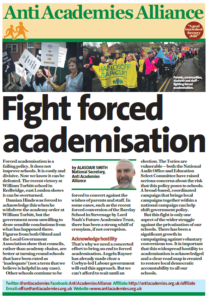 Prior to Barnfield’s fall, the college’s Principal (and CEO) proudly announced in a Guardian article that he wanted Barnfield to be the first academy sponsor to take advantage of a clause in the Education Act 2011 allowing colleges to be run for-profit. He wanted to explore changes in the Act which allowed colleges to be fully privatised and run academies for profit. He boasted that his business model would establish a private company to raise funds from private equity and pay shareholder dividends. This would be a private, and so largely publicly unaccountable, business model for education: an anathema to virtually every school in the country. As The Guardian commented: ‘The proposed model marks the latest step in the privatisation of public services under the coalition’. The Department for Education had been warned by the UCU that sponsorship, like private business sponsorship, undermines local democracy. The UCU had pointed out that sponsors have potentially autocratic powers and that sponsorship has lead to suspicions similar to those at the heart of the cash for honours scandal. The Department did not listen. This paradox in further education can also be seen over free schools. Some colleges have expressed anger at the Government’s spending on nine free schools for 16 to 19-year-olds – estimating that £39, 616 is spent on every student at those free schools, compared to just £4,000 on each student at sixth-form colleges. Meanwhile, other colleges have dabbled in setting up free schools! In 2012 there were stories of FE colleges coming into conflict with local authorities over plans to open free schools in areas where schools already had surplus places yet recently more FE colleges have announced they wish to open free schools – including for 16-19 year olds. This despite it now being clear that the free schools programme is in crisis with more than four-fifths of those opened this year having failed to attract enough pupils to fill their classrooms. As teachers and lecturers make very clear: colleges and schools should work together in partnership for the benefit of young people and local communities. Partnerships are valuable and should be developed but partnerships are equitable and democratic arrangements. Sponsorship is not partnership and using sponsorship to create a business model based on profit is very different from a partnership. 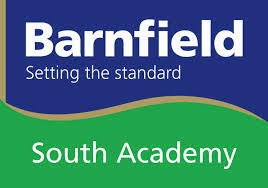 Barnfield, it seems, fixed on the profit to be gained by academy sponsorship rather than the public good to be achieved through partnership. Other colleges may yet come close to echoing Barnfield’s ideas and Birkett’s model was not that original. It echoed a report from the right leaning think tank – The Policy Exchange – proposing private companies be allowed to set up and run schools under a profit making model. A former chairman of the Policy Exchange, Michael Gove, approved a free school in Suffolk that outsourced management to a commercial company in a contract worth £21 million. Last year the parent company of this for-profit free school admitted it was providing a sub-standard education to its students. 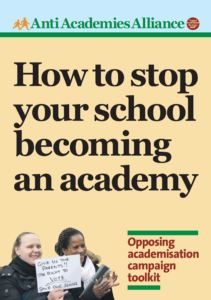 And in 2013 The Independent ran a story suggesting that DfE officials were considering “reclassifying academies to the private sector” – replicating the decision the previous year categorising colleges as part of the private sector. 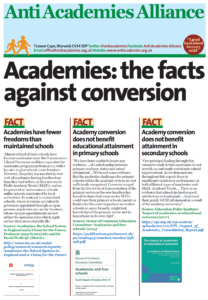 The Anti Academies Alliance defends all public education and supports voluntary partnerships and collaboration between schools and colleges but a review of the record of colleges sponsoring academies suggests the risks associated are too high. Any rationale for encouraging colleges to sponsor academies because they, the colleges, have been through a twenty year process of ‘freedoms’ leading to weakened accountability and governance, super mergers, competition and privatisation is simply not tenable. In fact we’d go further and suggest that the evidence suggests the ‘freedoms’, ‘incorporation’ and ‘privatisation’ of FE colleges have not served college students and staff at all well. This should serve as a warning to those who would like to see academies follow FE’s path. As Peter Birkett said to The Guardian: “If we can make it successful in the FE sector, there’s no reason we can’t make it successful in the schools.” The problem was that ‘it’ wasn’t successful in colleges. Those with concerns to end social injustice and to improve education will want to see colleges and schools work together in partnership rather than colleges attempt to run schools as academies. FE college sponsored academies do little for standards, they undermine local democracy and school-college partnerships and do little to address real barriers to participation that include student fees, child poverty and income inequality. Once the prospect of profit enters the equation – be it in early years settings, schools, sixth forms, colleges or universities – inclusivity and partnership are destroyed and education damaged. This entry was posted in News, Top story and tagged FE. Bookmark the permalink.